Our Michigan dog bite lawyers represent victims of dog bite attacks. Buckfire & Buckfire, P.C. experienced attorneys get compensation and settlements for victims in cases throughout the entire State of Michigan. We help you win the highest possible dog bite settlement for your case. Our dog bite injury lawyers represent children, adults, postal workers, service providers, and utility workers. 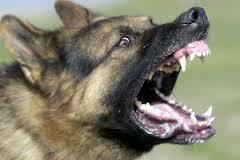 We can help you if you or someone you care about suffered injuries in a dog attack. We get our clients to top dog bite settlement awards in Michigan. Many times, the person bitten by the dog is a friend, relative, or neighbor of the dog owner. While his may present an uncomfortable situation, we assure everyone involved that our intent is only to seek a settlement from homeowner’s insurance company for the dog owner. This reduces the strain on a good relationship and prevents potential bad feelings amongst friends and family in the future. What Are The Michigan Dog Bite Liability Laws? In addition to physical injuries, a dog bite victim often suffers from psychological damages as well. These psychological damages can include, but are not limited to, nightmares, post-traumatic stress syndrome, humiliation and embarrassment. Do I Need To Report A Dog Bite To The Police? A person bitten by a dog should report the incident to the police or county animal control unit. The police or animal control unit will do an investigation and issue a written report. This is the best way to document the attack to prove that it happened. Many times, the attacking dog will be quarantined or removed from the owner if it has dangerous propensities. Filing a dog bite report also provides a record of the dog’s dangerous history. This gives the animal control unit a basis for taking court action or issuing a fine to the owner. It also provides the insurance company proof that the dog attack occurred and is helpful when trying to reach a settlement. How Do I Get A Copy Of A Dog Bite Report? A copy of the dog bite report can be requested under the Freedom of Information Act (FOIA) to the government agency that took the report. There is often a small fee required to get a copy of the report. Our law firm will get and pay for your report if you choose us to handle your case. What Are The Legal Rights Of Dog Bite Victims? Under Michigan law, a dog bite victim has the legal right to compensation for injuries suffered in the attack under most circumstances. Compensation can include payment of medical expenses, lost wages, and the cost of future plastic surgery for scar revision or scar reduction. The victim is also entitled to compensation for pain and suffering, fright and shock, and other psychological injuries as a result of the attack. The victim should also receive a settlement payout for any scars and disfigurements from the dog bite attack. Can I Sue For A Dog Bite In Michigan? Yes. You can sue for a dog bite in Michigan if you were bitten by a dog and suffered an injury. This includes attacks on your property, public property, and on the property of the dog owner if you were lawfully on the property. Being lawfully on the property means that you were a guest of the property or you were there for a business purpose, such as a courier, delivery person, sales person, contractor, or other person providing services or maintenance on the property. Can I Sue If My Dog Was Attacked By Another Dog? Under Michigan law, you can sue to owner of a dog that attacks your dog. You are limited to veterinary fees and expenses and the "value" of your dog. You cannot claim damages for your loss of companionship of the dog or the dog's pain and suffering like you can in a case involving a person. Who Can Sue If A Child Is Bitten By A Dog? A parent, legal guardian, or conservator can sue if a child was bitten or attacked by the dog. The settlement money goes to the child and cannot be spent without court approval. This law is intended to protect the assets and interests of the child until the age of eighteen. How Much Time Do I Have To Sue For A Dog Bite? In Michigan, the statute of limitations provides the time deadline that you have to sue for a dog bite. In general, it is three years from the date of the attack. In cases involving children, you have until the child's nineteenth (19th) birthday to file a lawsuit against the owner or keeper of the dog. We also often get professional photographs taken of your scars to help prove the seriousness of your injury. We have many of our clients evaluated by a plastic surgeon to determine if the appearnce of a scar can be improved with plastic surgery and to determine the cost of the procedure. We use these photographs and medical reports to maximize your settlement amount. How Do I File A Michigan Dog Bite Lawsuit? If our attorneys are unable to settle your case for a fair amount with the insurance company, the next step is to file a dog bite lawsuit against the owner or keeper of the dog. Our attorneys will prepare the lawsuit document, called the Complaint, and file it with court. If the victim is a minor, we will appoint the parent or guardian as the person bringing the lawsuit for the child. The next step is to serve the Complaint on the defendant and the litigation process is started. Once the case is filed, we handle everything and will keep you updated from start to finish. The case can take more than a year to complete depending on the county of the lawsuit and the judge assigned to the case. We settle more than 97% of our dog bite cases for the maximum amount before going to a trial. Most cases are settled at a mediation or court settlement conference. Video: What Is The Average Settlement Payout For A Dog Bite Case? There is no average settlement payout for a dog bite case because every case is completely different based upon the facts of the attack, the injuries, and the medical treatment. Another factor is the insurance policy limits of the dog owner or business owner. Our experienced dog bite attorneys will review your case and win you the highest possible settlement for your case. We have a great history of large settlements and jury verdicts in dog bite cases. How Much Can You Get For A Michigan Dog Bite Lawsuit? Who Pays The Dog Bite Settlement? Dog bite settlements are typically paid by insurance company for the dog owner or the keeper of the dog. If the dog owner is a private individual, then the homeowner's insurance policy provides coverage to pay the claim, even if the attack did not occur at the home or on the property. If the attack occurs at a place of business, then a business liability insurance policy pays the settlement. When the person rents a home or apartment, there may be renter's insurance to cover the claim. Many times, the dog bite occurs at the home of a friend, relative, or neighbor and the victim is reluctant to pursue a claim against someone they know. However, these claims are made strictly against the insurance company and not against the individuals so there is no personal liability from the dog owner. And no, the insurance company cannot force the owner to give away their pet. How Do I Know If The Dog Owner Has Insurance To Pay A Settlement? The dog owner may tell you if there is homeowner’s insurance coverage or other liability coverage to pay your medical bills and a settlement. However, many times you will not be provided this information and it can only be obtained by an attorney specializing in dog bite case. Our lawyers have great success in getting the insurance information and contacting the insurance company to start your claim. Once there is a settlement agreement with the insurance company and you sign the Settlement Release Agreement, it usually takes thirty days or less to get your settlement check. If the case involves a minor child, it may take slightly more time if the settlement needs to be approved by a judge. Do I Need A Lawyer for a Dog Bite? You will need a lawyer for a dog bite attack if you suffered an injury and incurred medical expenses. If you try to deal with the insurance company adjuster directly, you may give statements that will later ruin your chances of getting a settlement. Insurance adjusters are trained to get victims to make statements that ultimately destroy their own case. In addition, research studies show that injury victims with lawyers receive substantial larger settlements than those without an attorney, even after pay the legal fees. Can I Settle My Case Without Hiring A Lawyer? You can try to settle your dog bite case without hiring a lawyer. However, there are several pitfalls you should be aware if you handle your case without an attorney. First, you may not be provided the actual insurance policy limits by the insurance adjuster and could be settling your case for much less than fair value. Second, you may have medical liens on your case that you must pay off when you settle or you can lose your right to health insurance. Third, you may be signing away important rights without receiving the full value of your case. Finally, you will almost always end up with more settlement money in your pocket when you use a lawyer even though the lawyer charges a percentage fee on the settlement. Studies over the years prove this fact. How Much Does It Cost To Hire A Dog Bite Attorney? It does not cost anything to hire our dog bite lawyers. We do not charge any fees to start your case and only get paid when you receive your settlement check. This is called a contingency fee agreement. Under this arrangement, we also pay all of the case expenses for you and get a percentage of the settlement at the very end of the case when your check is received. Call (800) 606-1717 any time of day to speak with a dog bite injury lawyer about your case. I chose the law firm for my daughter's dog bite case. Robert always made sure we know exactly what was going on and explained everything in detail and answered my questions. He took into consideration how hectic everyday life is and made it simple for us! My daughter's case was resolved in less than a year, the settlement was above and beyond what we expected.